We will visit a number of notable properties during the Discovering Colonial Philadelphia to now Walking Tour. We will see buildings that go back almost to the founding of the city in 1682, up to buildings currently under construction. Georgian, Federal, and many Revival styles will be seen along the way. 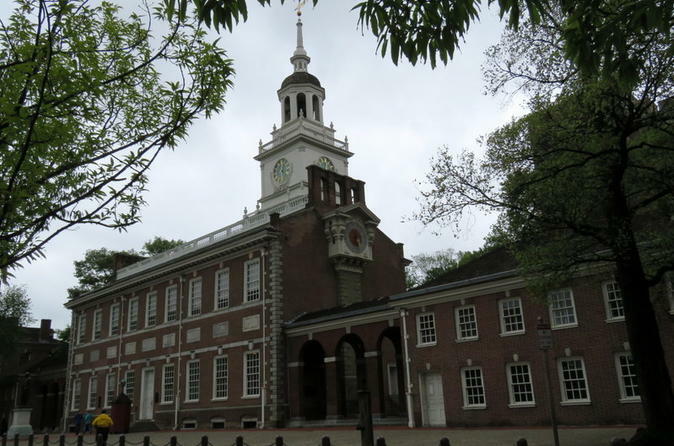 Beginning at Elfreth's Alley, the oldest, continuously occupied residential street in the United States, this tour winds its way through Old City, visiting Christ Church, the Franklin Ghost House and the buildings on Independence Mall. As we head towards Washington Square we will see examples Greek and Egyptian Revival, and Italianate styles. Heading into Society Hill we will explore styles from Georgian and Federal all the way to Modern building styles and even sites under construction. We will learn about the times, technology, and events that shaped American History. We will learn more about the lives of the Founding Fathers and the Capital City they lived and worked in.